Abeer is a research associate in the Energy Information Management team with expertise in energy data management and energy research apps. Abeer is focused on data from Saudi Arabia, the rest of the GCC countries, India and China. 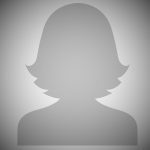 She is an expert in identifying data sources, data availability, data transformation, data analysis and data quality level for research use. Abeer has published a large number of data sets on the KAPSARC data portal and insight energy apps development (KAPSARC Vehicle Fleet Model, Solar Photovoltaic Toolkit). Prior to joining KAPSARC, she served as a systems analyst for three years at the Arab National Bank. 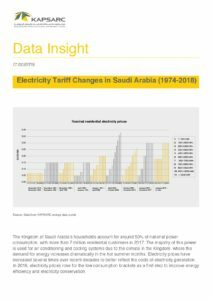 The Kingdom of Saudi Arabia’s households account for around 50% of national power consumption, with more than 7 million residential customers in 2017. The majority of this power is used for air conditioning and cooling systems due to the climate in the Kingdom, where the demand for energy increases dramatically in the hot summer months. Electricity prices have increased several times over recent decades to better reflect the costs of electricity generation. 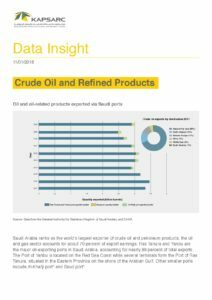 Saudi Arabia ranks as the world’s largest exporter of crude oil and petroleum products; the oil and gas sector accounts for about 70 percent of export earnings. Ras Tanura and Yanbu are the major oil-exporting ports in Saudi Arabia, accounting for nearly 99 percent of total exports. The Port of Yanbu is located on the Red Sea Coast while several terminals form the Port of Ras Tanura, situated in the Eastern Province on the shore of the Arabian Gulf. Other smaller ports include Al-Khafji port* and Saud port*. Key insights into Saudi Arabia’s workforce demography. 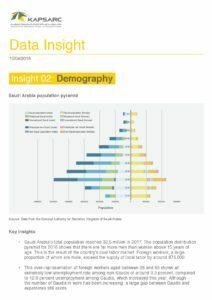 We have launched a new series of Data Insights which aim to share topical insights and data on a range of interesting themes. The first insight of the series is focused on Saudi Arabia’s passenger and freight railway network.